Create a dataset for the dropdown list. 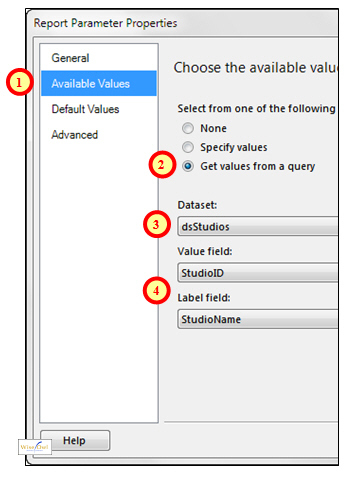 Create a parameter based on this dropdown list. 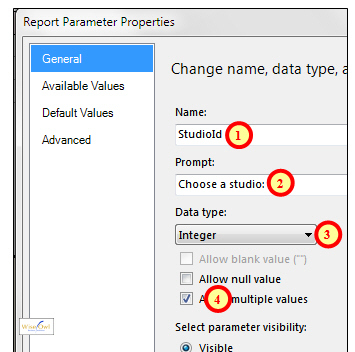 Incorporate this parameter as a filter into your report. Let's have a look at each one in turn. The drop list will be based solely on the table of studios. 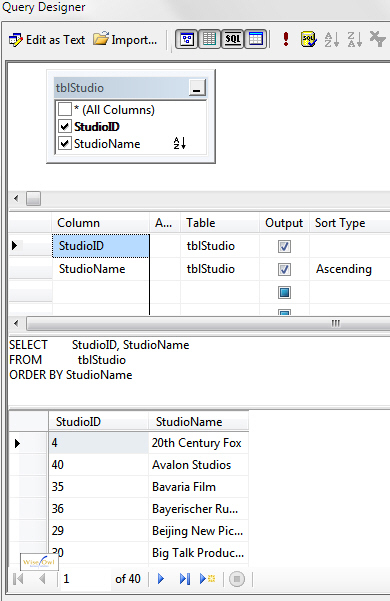 A report with a parameter dropdown should have two datasets: one upon which the report itself is based (here dsFilms), and the second on which the dropdown is based (here dsStudios). 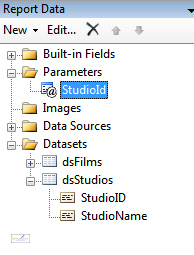 The studios dataset must include the studio name (which appears on screen) and the studio id (which is used to pick out the right films). Right-click on Parameters and choose to add one! 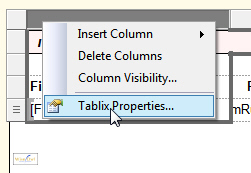 Firstly, choose to show the properties of your table by right-clicking on the edge of it (you'll need to click in the table to select it first). Choose to work with filters for the table. 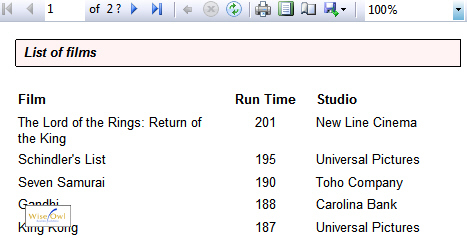 We're filtering the table by the film studio chosen (you did include the FilmStudioId link field in your table's dataset, didn't you? If not, you'll have to edit this dataset to add it in). We're showing all the films where the studio id is in a list. 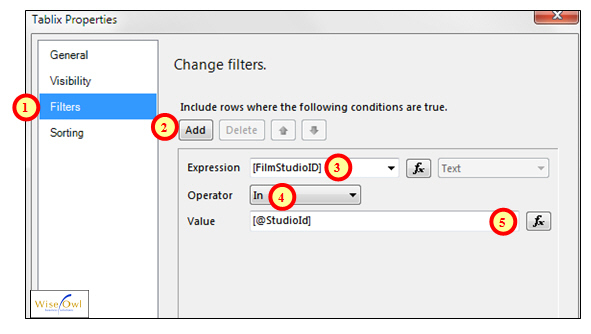 Click on the expression builder to create the expression shown below. 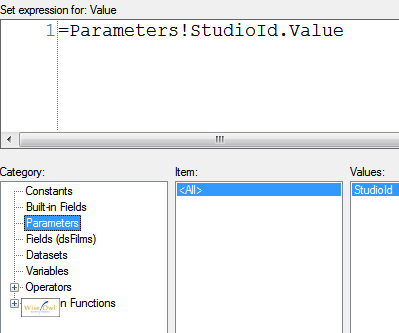 Choose to refer to a parameter, then double-click on the StudioId parameter to create the expression shown. When you select OK and try previewing your report, everything should now all work!